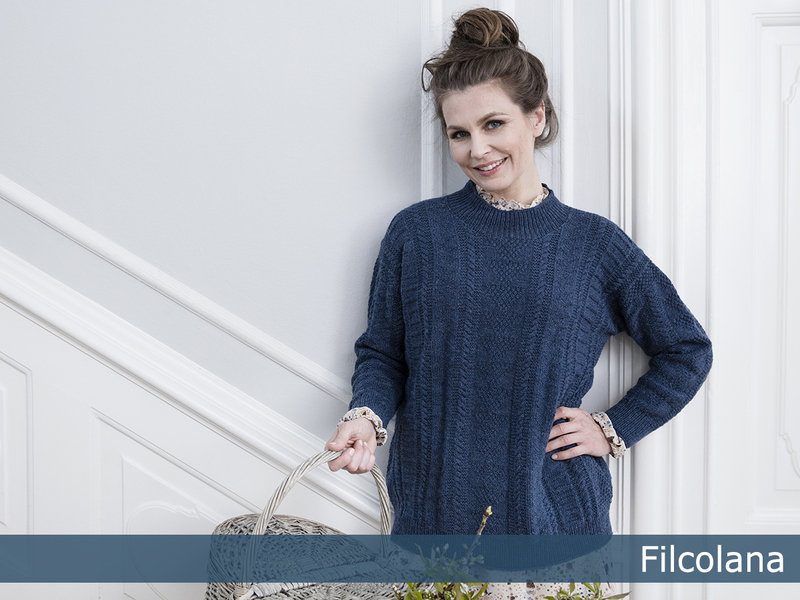 With inspiration from the blue of the sea and the sky, Filcolans Pernilla in the shade Fisherman’s Blue was the ideal choice for an oversize fisherman’s sweater design. 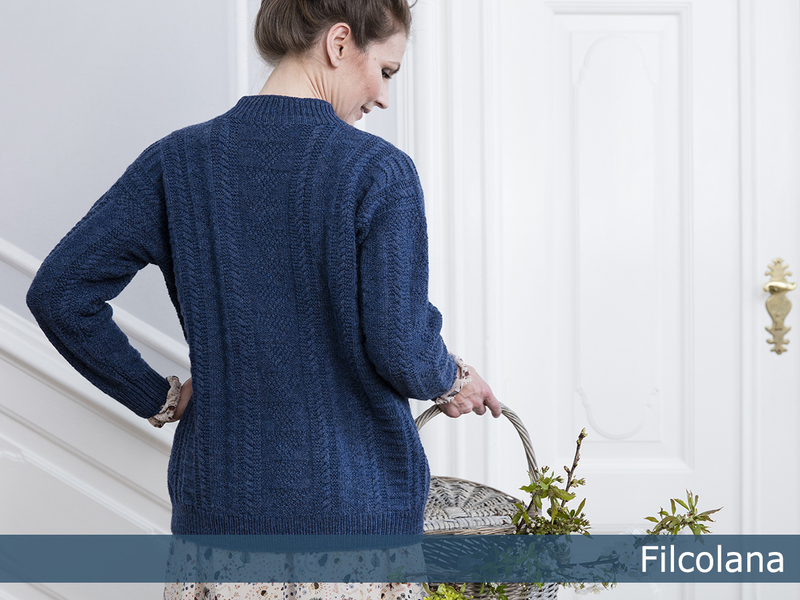 The pattern consists of knits and purls, as well as a small cable, and is inspired by classic Guernsey sweaters. 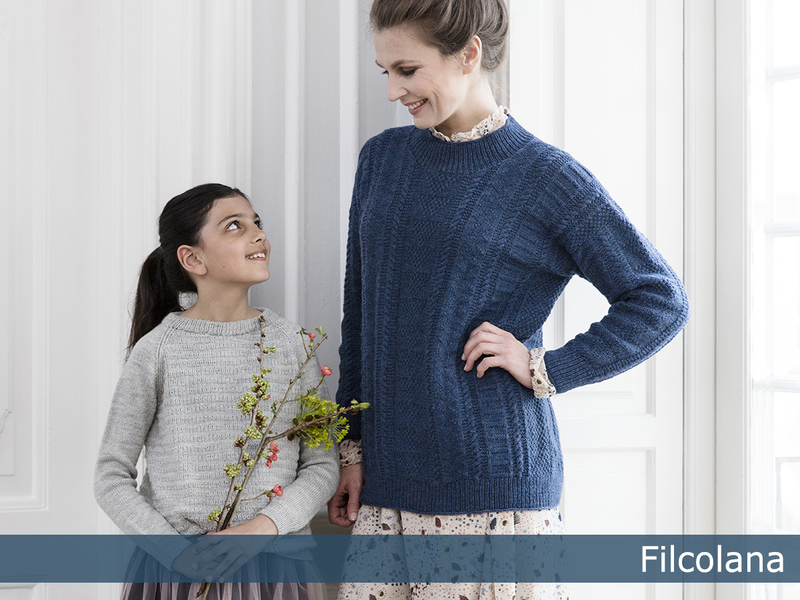 The design is perfect for both men and women. 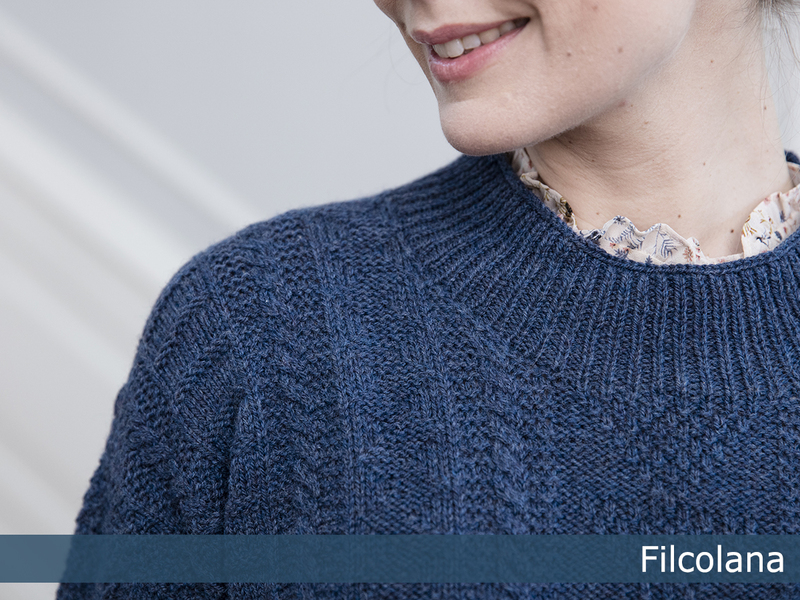 ”Skagen” is part of Filcolanas ”Colours of the Scandinavian Summer” collection. 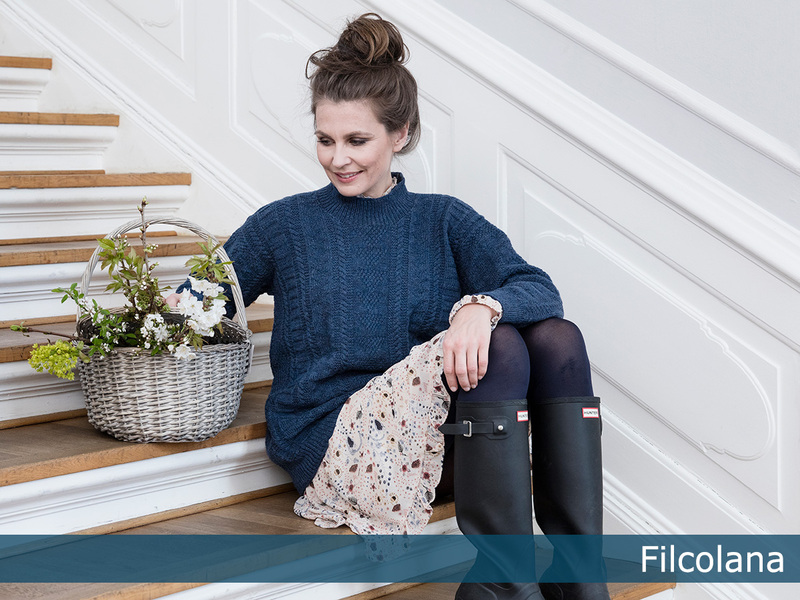 For this collection our team of designers have found inspiration in the incredible Scandinavian light and colours in the works of the Skagen Painters.